A completely random comment left on Sony Electronics Facebook page was the last thing I thought would lead me on a whirlwind adventure to a far-off land. Well, okay, it was only California, but it definitely seemed like it was on the other side of the globe after taking me such a lengthy time to get over there. Waking up 30 minutes late, hitting 40 minutes of traffic in Charlotte, and finding one of the only open parking spaces left at the very top of the 5th floor of the deck were all part of why I missed my plane by a mere 5 minutes. What happened in between with standbys and disappointments doesn't really matter because I finally made it to my intended destination in time to enjoy some of the friendly company and tasty food at the welcome reception Sony was hosting for the guests of this event. I barely had time to revel at the beauty of the lavish resort we were staying in, because I was mainly concerned with getting to the reception. 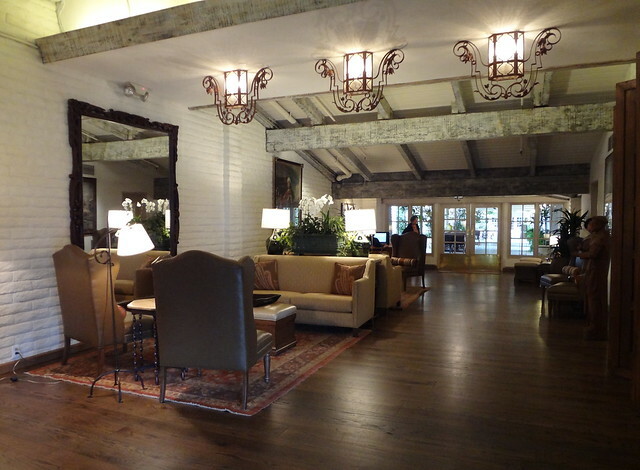 The Rancho Bernardo Inn was gorgeously decorated with, what I could only describe as, country chic décor. On my first morning there, I woke up around 6:00am and set out to explore the grounds beyond the main areas. It was beautiful! Our activities for the day started around 9:00am at breakfast. The group knew prior to arriving that we would be testing out a new camera that Sony will release sometime in April, the Cyber-shot WX9. Silver bags were awaiting us in the seats of our chairs. We didn't waste any time after announcements getting them out either. Nearly every person in the dining room had a camera in hand as they hovered over breakfast plates snapping shots and shooting HD video. After stuffing ourselves at breakfast, we loaded up the charter bus for our field trip to the Oceanside Farmer's Market with Chef Chris Ivens-Brown. Knowing very little about his background beforehand, I had no idea what would be in store for us during the picnic they set up ocean side. When they called it a picnic, I envisioned blankets on a grassy area. However, they had something entirely different in mind that completely blew me away. This was definitely not your typical picnic! Our activity-filled day furnished by Sony included a short two hour break between lunch and dinner. Time seemed to fly by as I hung out in the room waiting for our next meal with Chef Chris. Honestly, I had no idea where I would find the room to fill my belly with even more food, since we didn't have much time to digest between meals. Although that's what the day was all about FOOD, FUN, and photography! And there was no shortage of any of those three throughout the day. In no time, we were on the charter bus again headed to Sony Headquarters for our seven-course meal. 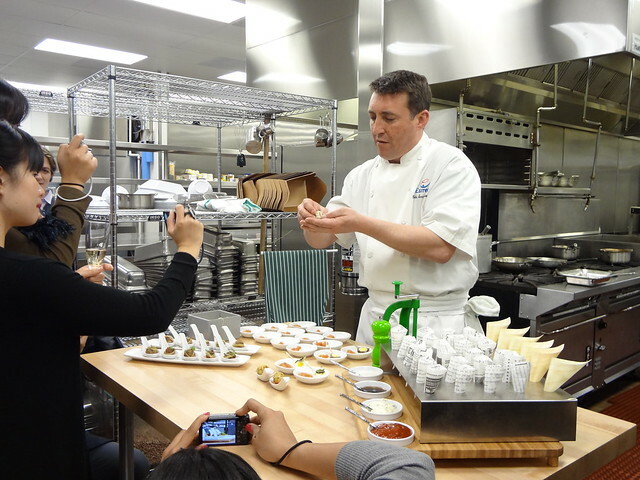 Upon our arrival they served us champagne and then ushered the group into the kitchen for a live demonstration where we were able to sample some appetizers. After some mingling and viewing images taken with the Sony WX9 on a huge 3D TV—which was wicked cool—we took our seats to begin the amazing meal that I managed to make room for. There was no way that I would have missed trying any of the dishes they served. Everything was beautifully presented and equally scrumptious. I can't wait to share the details from that dinner because it was so outrageous and incredibly delicious, but I don't want to spoil it in this sneak preview. 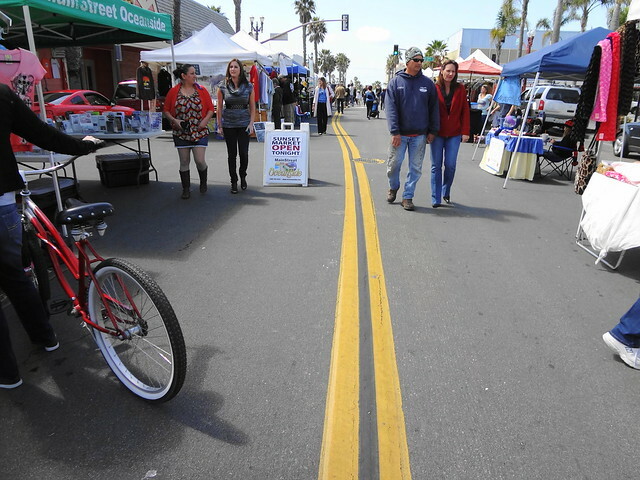 I plan to do a separate blog post about our picnic lunch in Oceanside and Sony Headquarter dinner, because I can't do them justice in a short paragraph or two. They definitely deserve a more in depth description than that. Not to mention the oodles of images I have to share along with the story. I also plan to share more details about the little point and shoot powerhouse, the Cyber-shot WX9, that I had the pleasure to play with, because it's awesome. It seems like it's been so long since I've owned a p&s, but this is a perfect complement to the Sony A700 that I currently own and shoot with. You'll love all the cool features that this camera contains. A surprise is also in store, but you have to stay tuned to find out what it will be! 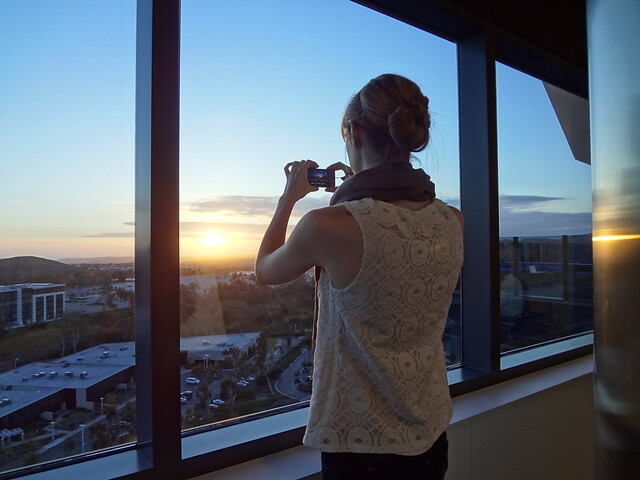 As you can see by this sneak peak of my trip to the Sony Foodie Blogger event in San Diego, CA, it was jam-packed with fun activities. I had a terrific time meeting new friends and filling my belly. I feel extremely grateful to have been selected to participate, and I truly appreciate all the hard work the Sony team and Chef Chris' team did to ensure that we enjoyed and savored every single second of our stay. It was an incredible experience, and I seriously can't wait to share more of the adventure with you! Sometimes the name of a band alone is enough to intrigue me. 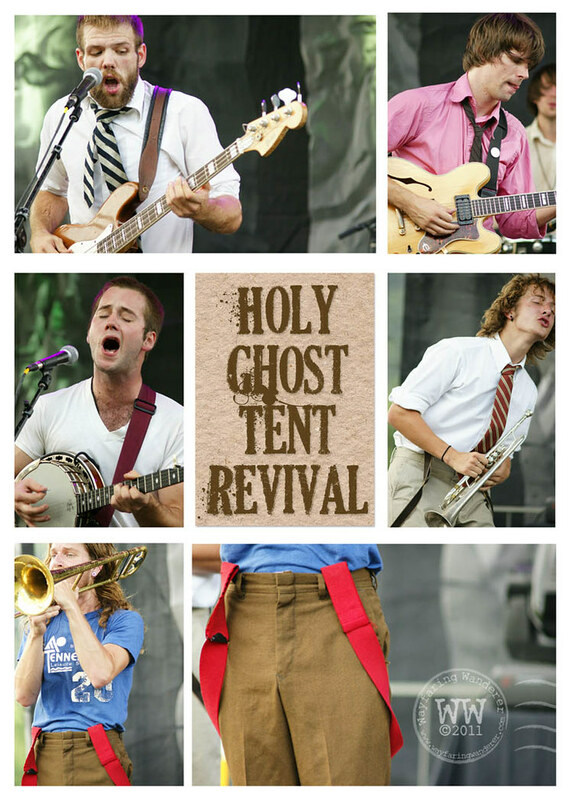 I remember seeing the name Holy Ghost Tent Revival and how it propelled me to find out more about who this band was. As usual, I looked them up on myspace to listen to a few tracks, and I was instantly smitten and quickly converted to a fan. It was a while after I first listened to their music that we were actually able to see them play a show. It just never worked out when they were coming through town. That (finally) changed last year during Music on the Mountaintop festival here in Boone. Chaos ensued as they tore up the stage, and you can see that they pour their heart and soul into their performance. The explosive energy they exude is visible by the amount of sweat they collectively produce, which is a LOT. By the end of it, though, you're sweating just as much as they are because of all the bouncing around you've been doing. It's really really difficult to put their music into any particular category because it's intertwined with a little bit of this and a little bit of that, but there's one thing I know, it's all good! Seeing them live adds to the experience because they are an extremely animated bunch who put on a spectacular show. Since the Music on the Mountaintop festival, I've seen them play twice. And I'm glad that they are coming to Boone once again to grace us with the gift of another intensely energetic show that I know won't disappoint! Holy Ghost Tent Revival will be playing at Boone Saloon with Uncle Mountain at 9:00 pm on Saturday, March 5th. With every passing week, I can feel that spring is getting closer. I suppose that making a point to go on a weekly hike is helping me to notice this a little sooner than I normally would. While I love winter and the snowy, cold weather that it brings, it can sometimes cause me to stay stuck in hibernation mode. Lately, though, I've been a whole lot more motivated to get outside and enjoy the warm weather we are awarded instead of being a hermit. This week's hike was the Green Knob Loop Trail off the Blue Ridge Parkway (Milepost 295.9) in Julian Memorial Price Park. I've always liked hiking this trail because it's only moderately strenuous, and because it offers a variety of habitats to experience in a short 2.1 mile round trip trek. Starting at Sim's Pond, where you can oftentimes find anglers casting away, you'll pass the pond and travel through a rhododendron lined path that takes you into a forest of mixed hardwoods. As you find your way further into the woods, you'll come across some impressively large hemlocks towering over above head. During this hike, there are a few creek crossing that require a little rock hopping, but nothing major to contend with. The first half is pretty mild, actually, and is a pleasant way to commune with nature since you can stroll at a snail's pace. For hikes that tend to be more strenuous, I find myself not wanting to stop and take pictures as much as I do when I'm hiking one that's easier. This way, I have more time to focus on the tiny details that can often be overlooked when all I care about is the next level surface to catch my breath. Around the half-way point of the Green Knob Trail, the forest will recede and present an open pasture to meander. You'll pass through the fence stile to enter the meadow. This area is oftentimes littered with grazing cows. However, I imagine that it's probably too early in the year for that. As you ascend the gently rolling hills, follow the concrete trail markers to continue along the proper path. This would be a very nice spot to pop-a-squat if you felt like taking a break, though. There's also a bench beneath a tree if you don't want to spread out on the grass for fear of coming in contact with colossal cow patties. As you leave the pastoral landscape you'll reenter the woods after a slightly steep ascent. This was the only part of the trail that got me huffing and puffing, although it still wasn't hard to reach the top. From there, it was all downhill. There's one point where you can see Grandfather Mountain & Price Lake, in the distance, as you're descending the trail. And the ridge line of Grandfather Mountain comes into an even better view once you're a little further along. After leaving and reentering the forest through a couple more fence stiles—before you know it—you've reached the end! It spits you out on the other side of the Blue Ridge Parkway, which is slightly disorienting. However, your car is just across the street. Compared to the Elk Knob hike I did the week before, the Green Knob trail was easy peasy. The elevation gain for this hike was only 460 feet while Elk Knob was approximately 1,000 feet, and it was only 1.3 miles long, whereas Green Knob was 2.1. Green Knob probably should have been my first hike of the season to break back into it instead of killing myself on Elk Knob! There are many hiking trails along the Blue Ridge Parkway that are close to Boone. This is one that I hike a few times each year because of how varied (and moderate) it is. And it's even more beautiful during the Spring and Fall because of the pretty wildflowers that appear. According to the things I have read about Green Knob, it's best to hike in April or August during the peak bloom times. I know I'll be going back to see what shows up! 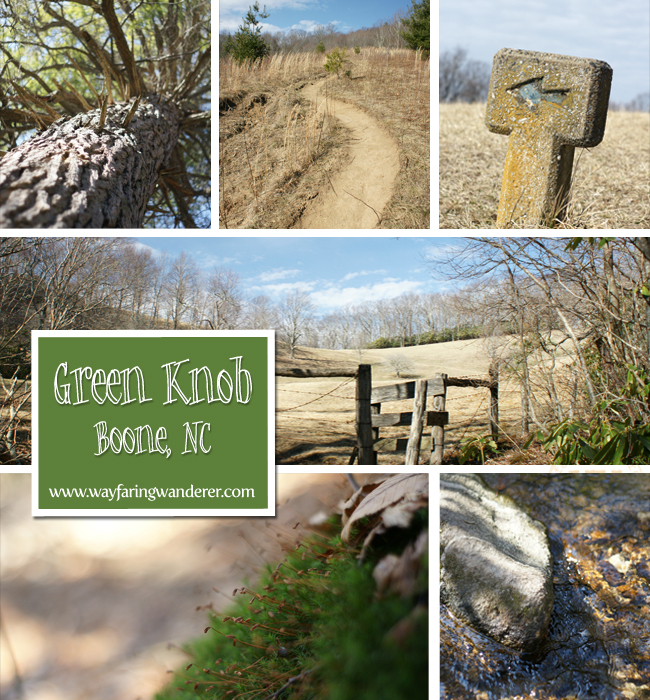 I highly recommend the Green Knob Loop hike for people of all ages and fitness levels. It would be a great family hike. While this particular Blue Ridge Parkway trail doesn't have the same long range views that many of the others have, it's still a really enjoyable way to spend an afternoon. I'm thinking that when I go back in the Spring we'll bring a picnic to snack on—that is, if the cows aren't around!